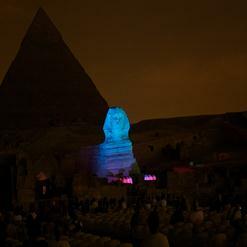 Being the second tallest and second largest pyramid of the three pyramids, Pyramid of Khafre is made of limestone blocks and the original height of it was 143 meters. 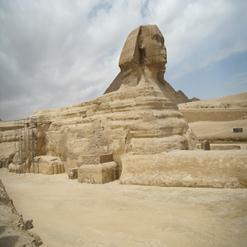 Containing two internal chambers, it is named after Pharaoh Khafre, the son of Khufu. 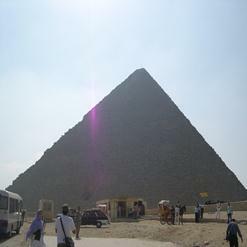 Located on the southwest of Khufu's Pyramid, it looks a bit bigger than Khufu due to its location on a high portion of land. 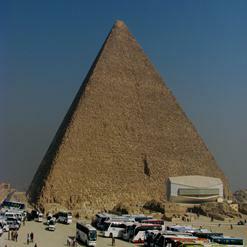 But in original, it is smaller than the Khufu's Pyramid.